Police Community Relations Committee [PCRC] has extolled sterling qualities of the Divisional Police Officer [DPO] of Oji River Divisional Police Headquarters, Mr Matthew Ezeh, in reducing crime in Oji River. The Chairman of PCRC in Oji River Police Area Command, Chief Fabian Okeke, said this while presenting an award of “PCRC DPO of the Year 2018’’ to Ezeh in Oji River in Enugu State on Tuesday. 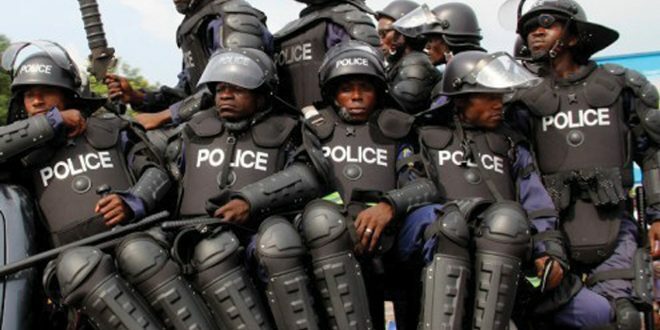 It will be recalled that Oji River Police Area Command, which one of the five area commands in Enugu State, is made up of seven Divisional Police Headquarters. Okeke, who made the present in company of members of his executives, said that for over two years Ezeh took over as the DPO in the area crime and criminality had reduced to the barest minimum. “The rate of crime especially armed robbery and shop burglary had become so low that night-life and economic activities during night hours had fully returned in the area. “Traders and transporters now do their businesses with ease and rest of mind to the wee hours of the morning,’’ he said. According to him, Ezeh is a team player that had effectively implemented community policing programmes by incorporating members of the community especially the PCRC in ensuring that Oji River and its immediate outskirt is secured. “One good thing about his character is that he listens and very responsive to issues concerning or involving people in the division,’’ he said. The chairman said that the DPO had made it a duty to leave the Divisional Headquarters better by attract the area council chairman, through unique inter-personal relations, to renovate the entire Oji River Divisional Police Headquarters. “He did the same thing in two divisions, where he had served in the Area Command before coming to Oji River Divisional Police Headquarters,’’ he said. Speaking, Enugu State Commissioner of Police, Mr Mohammed Danmallam, lauded the PCRC for picking out an officer among most of the outstanding officers in Enugu State Police Command for honour. Danmallam, who was represented by the Area Commander of Oji River Area Command and an Assistant Commissioner of Police, Mr Ashu Ottah, said that the award was a challenge to other DPOs, knowing that members of the public are watching how they discharge their duties. “I want all DPOs to build solid and enduring human relations to help in community policing as well as information and intelligence gathering from the people,’’ he said. Responding, Eze, who is a Chief Superintendent of Police [CSP], appreciated the PCRC for noticing his modest contribution to protect lives and property in Oji River area. “With this award, I assure the people of the area that through the grace of God I will do more to see that enduring peace and security remains in my area jurisdiction,’’ he said.